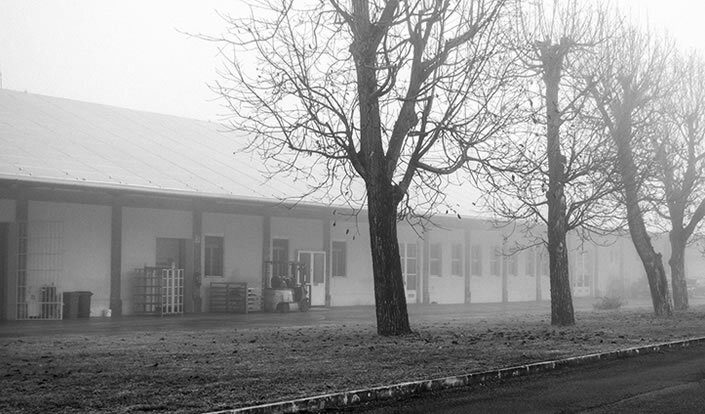 At 8.30 a.m., on a cold December morning, we reach Ludriano di Roccafranca, near Brescia. We meet with Vincenzo and Emanuele who have already been hard at work for many hours. They are the third generation running the dairy since it was established. 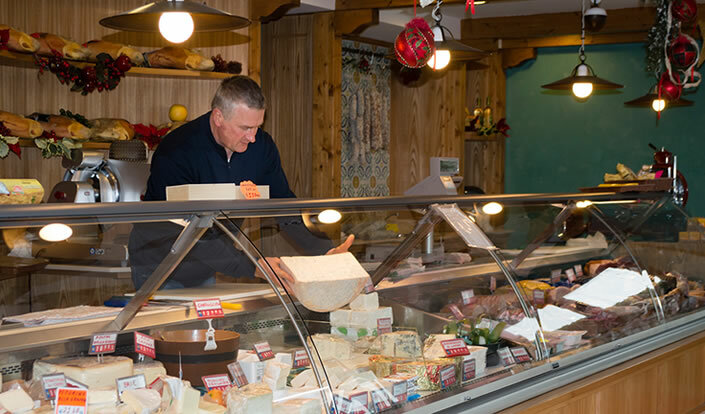 It all started with their grandfather Angelo Campiotti, born in 1890, who in the early 1900s was a small cheese trader in the Varese area and Switzerland. In the 40s he started doing business with a number of cheese retailers who urged him to start producing cheese in the province of Pavia, and that’s how he began to produce Gorgonzola. In the late 50s, Ermanno, the seventh of his ten children, was sent to manage a Grana Padano cheese factory they had bought in the province of Brescia. Soon afterwards, all production activities were moved to this dairy, where Grana Padano and Gorgonzola are still being made. Since 2004, the business is run by Ermanno’s own children: Vincenzo, Emanuele and Silvia. They dedicated themselves entirely to the dairy, and the business grew fivefold within 10 years. Theirs is a family-run business and therefore they deal with everything connected with it. Their spouses are forever complaining about their working hours and the fact that they are busy 365 days a year. In the past they had to put a great deal more time and effort into it, but now, with the advent of automation, they manage to carve out a bit of time for themselves. The milk they use comes from dairy farms situated within 20 kilometres from the cheese factory, and two of these farms have been supplying them continuously since 1959. The principles are still the same: "To make good cheese you need good milk". They are happy to work in this business, which they believe is “healthy”; a great small industry, where everyone knows everyone else and even during times of crisis you can rely on the other players in the sector as well. Our children are enthusiastic about coming to the dairy, and this makes us feel proud. They are keen to show people real production, and how a cheese is made. As we leave the offices, they show us the photovoltaic system which, they tell us, was installed 5 years ago and gives them 20% autonomy. They are very attentive to the issue of clean energy. In fact, all the spaces, from the offices to the dairy shop, are heated with the water recovered from cheese processing, which is only disposed of after 3 utilization cycles. Our thanks to the Campiotti family for being part of the history of Grana Padano!